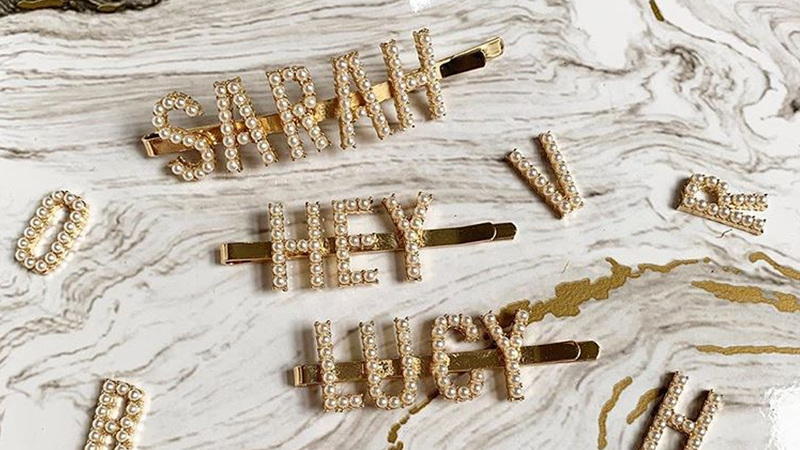 Now this is some serious sparkle. 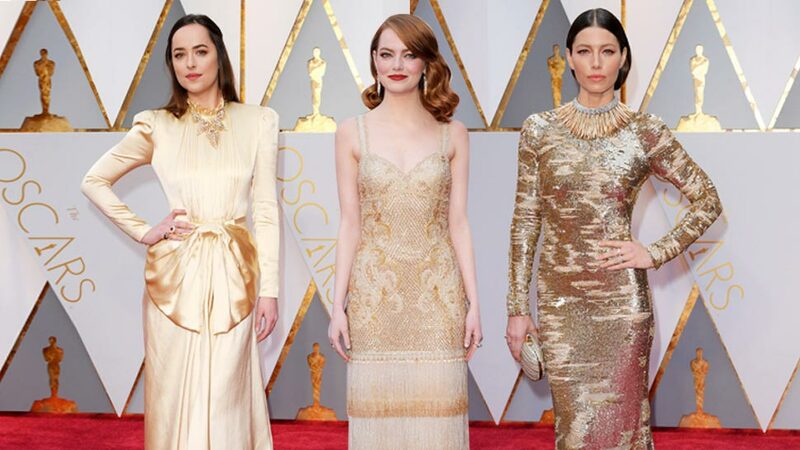 You know what they say: the accessories make the outfit, and the Oscars 2017 are definitely no exception. 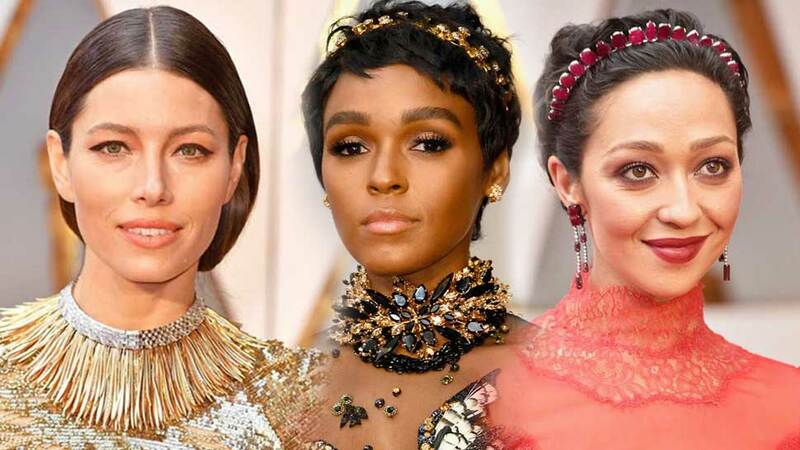 This year's red carpet turnout did not disappoint, with stars casually strolling into the venue sporting the most jaw-dropping baubles we've ever seen. We invite you to pick your chin up off the floor, because below, we round up the evening's most showstopping jewels! It's swing time! Charlize Theron donned a pair of drop earrings by Chopard featuring a 25-carat pear-shaped D-flawless diamond and 26-carat heart-shaped D-flawless diamond, 4.55-carats of pear-shaped diamonds and 4.35-carats of brilliant-cut diamonds set in 18k white Fairmined gold from the Garden of Kalahari collection. We're speechless. Jessica Biel wore the Tiffany & Co. Whispers of the Rain Forest diamond, platinum and 18k gold necklace from the 2017 Blue Book Collection. Quick facts: it's made of over 350 uniquely shaped 18k yellow gold fronds and over 200 baguette diamonds—in total, the collar is roughly 60 carats. No one said a man couldn't wear jewelry, and Pharrell Williams' Chanel Pluie de Camélia brooch (carrying 18K white gold, diamonds and cultured pearls!) is undeniable proof. If this isn't the monochrome look of all monochrome looks, then we don't know what is. Ruth Negga wore Irene Neuwirth featuring Gemfields' responsibly-sourced Mozambican rubies! Her headpiece bears 146.16 carats of said rubies, paired with earrings crafted from 37.18 carats of the same stone plus 3.26 carats of diamonds. Her ring showcased a 14.89 carat Gemfields Mozambican ruby framed by white diamond pavé—each piece was set in blackened white gold. Taraji P. Hensen wore a dazzling Nirav Modi bib necklace, made with 103 carats of diamonds from the brand’s Luminance collection. She also wore the Indian jeweler's Evergreen Emerald Ring, with a massive green stone and diamonds summing up to over eight carats. Making fashion headlines is Naomie Harris, who sauntered down the red carpet in--gasp--mismatched, crystal-strapped Calvin Klein sandals fresh off the runway. This is so a trick we're copping for ourselves! Scarlett Johansson stunned in a sheer, gauzy, pink-and-purple printed gown by Azzedine Alaia plus a textured statement belt, accessorizing with a dainty peppering of tiny ear hoops by Fred Leighton.